The fridge is an essential appliance for households, with plenty of brands throwing their hat into the ring to give consumers the perfect fit. Over recent years, a shift away from capacity has occurred, with many brands now electing to focus on style and features to stand out in an increasingly crowded marketplace. While some consumers simply want something that will keep their food cool and fresh, others want the bells and whistles to make the kitchen easier to use. The side by side fridge is a product of the changing fridge market, with the style shifting the freezer to become adjacent to the fridge compartments. Functionally, this design works better for large kitchens, as well as appealing to many from an aesthetic point of view. Choosing one for your kitchen however, can become a bit of a challenge, as the market has quickly become home to many brands and models. 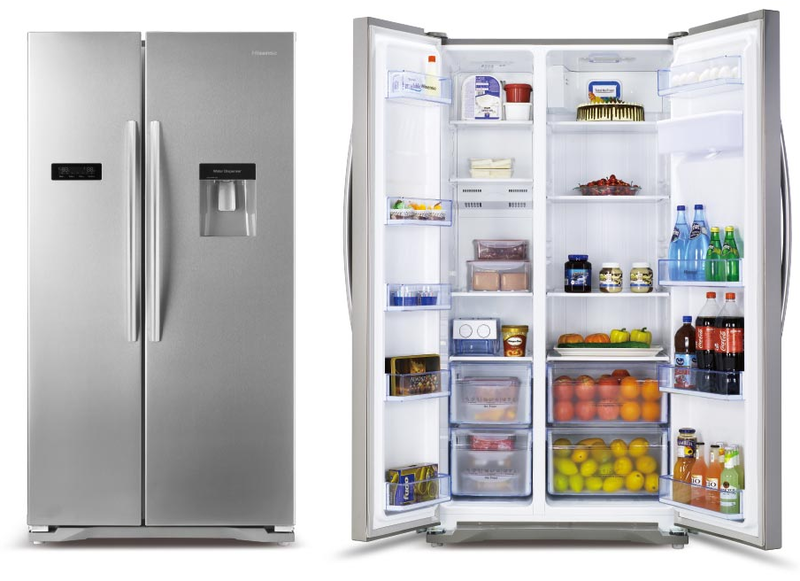 Find out what the leading brands offer, and which side by side fridge may be the best fit for your home. A Chinese electronics and appliance company, Hisense has been operating in the industry for decades. While it may not be a household name, the brand is readily available at many Australian retailers and therefore finding its way in many Aussie homes, usually undercutting its rivals on price. Hisense offers a wide variety of fridges for households to choose from, although its side by side range is unfortunately not as expansive. Offering three models, Hisense is one of the cheaper options available, making it an option to be considered for those on a budget. 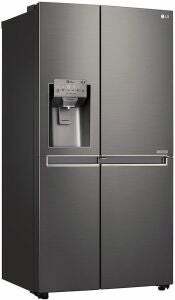 Hisense fridges also come with an LED display with touch control, as well as an ice maker for those hot days. Models are also installed with a PowerSave function for when you go away on holidays, which will help you save on your electricity bill without spoiling the food inside. Another appliance giant, LG has an expansive fridge range to suit all needs, with the company offering a number of side by side fridges for consumers. While the cheaper models will suit those after something simple, the higher-end models come with features such as ice and water dispensers, as well as the Door-in-Door feature, ideal for those looking to impress. With similar capacities across all side by side models, the features are what will really set each product apart. For those who like their fruit and veg, some models include the FRESH Balancer, which allows the crispers to be set to optimal temperatures for either fruit or vegetables, ensuring your groceries are kept fresher for longer. While some of the most expensive options available, Liebherr is known for its high end quality, with the German company also offering some of the largest capacities in the market. While its cheapest model will still set you back around $7,000, if you’re looking for plenty of features as well as capacity, Liebherr may be the option for you. All models include NoFrost technology to allow your foods to be kept fresh, with some models include the BioFresh feature, which keeps the temperature and humidity levels optimal for food preservation. Liebherr’s most expensive model includes a wine compartment for all your entertaining needs, as well as a five drawer freezer compartment, giving households plenty of space to work with. 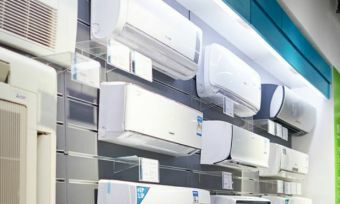 While more known for its personal electronics, Samsung’s appliance range has come into its own over recent years, with the Korean electronics giant expanding its household range significantly. 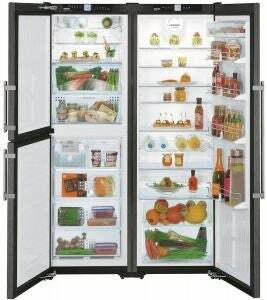 For those after a side by side fridge, Samsung has a variety on offer, which can be bought at various retailers. The smallest model, which still has a capacity of 589L, is fitted with a Twin Cooling System to ensure optimal cooling and air temperature for both the fridge and freezer sections of the unit, with a Multi Flow function additionally cooling each individual section to ensure they remain consistently cooled. Other Samsung features include Tower LED lights, allowing you to spot the good stuff, as well as frost-resistant technology to keep food fresh. 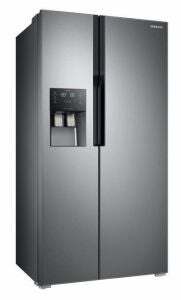 Other Samsung models include Door-in-Door functionality, as well as ice dispensers and recessed handles for a sleek finish. Another pioneer of the home appliance industry, Westinghouse has been readily available in the Australian market for years, with the American company offering a variety of appliances to fill your household with. 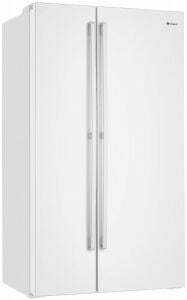 In terms of the side by side fridge, Westinghouse offers a number of models, all of which come in different finishes and colours to suit your kitchen style. With capacities ranging from 610L to 690L, size isn’t an issue, although functions and features vary from model to model, with only a select few available with a water and ice dispenser, for instance. All Westinghouse models are fitted with the FlexSpace and FlexStor function, which allows users to adjust the door shelves to allow for the grocery shop in large households. Westinghouse also provides dividers for the crispers, so your fruit and vegetables can be kept separate. Is a side by side fridge worth the money? With the importance of the fridge within the household evident, picking a new one can prove a tough decision, especially now with many brands diversifying styles and functions. While there may not be a huge difference between the traditional fridge and the side by side variation in terms of capacity and price, the decision to purchase a side by side model will come down to personal preference.